I just had to become friends with some triathletes….couldn’t just stay with the runners on the other side of the playground. See, when you become friends with triathletes they convince you to go cycling, go do laps in the pool and go out for open water swims. Yes, that is correct. Open water swims. Have you ever been at the beach and see a group of swimmers with bright swim caps and they are actually swimming out by the buoys. 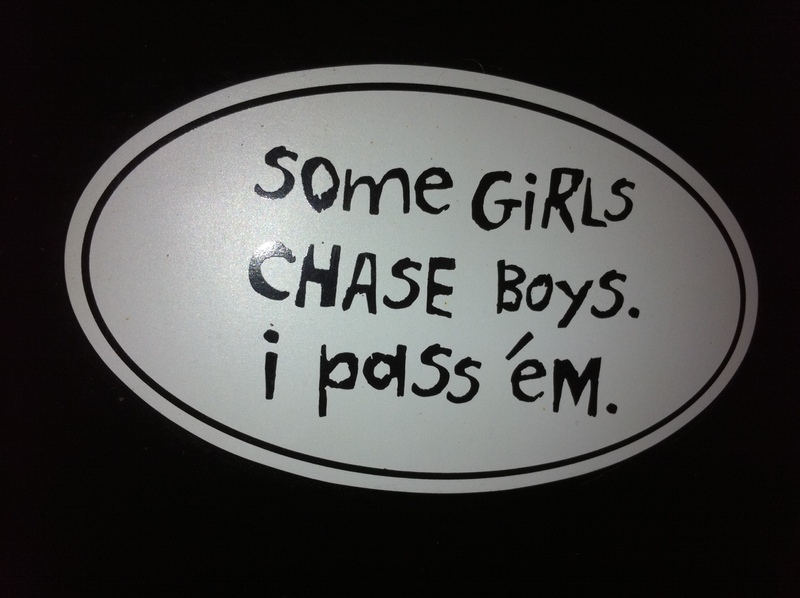 Yes, that was me last night. Decided to go out for my first open water swim (OWS) last night after I did about 4.5 miles of hill work in the morning and walked about 3 miles throughout the day. Wasn’t my brightest moment but ended up not going too bad. The first 200-300 meters were a little rough until my teammates from STAR (Springfield Triathletes and Area Racers) suggested I just try going in closer to the beach where I could touch and rest for a little bit. After that it seemed like I got a second wind and was on my way. (I did actually say I was just going to turn around at this point but got the competitiveness in me when they mentioned that I at least made it further than a lot of first timers, I wanted to do better than the typical first timer) I did struggle occasionally with my spotting (or direction) because my goggles kept fogging. It’s a little hard to know where you are going when you can’t see anything in the water so you have to use landmarks to help keep you going in the right direction. I guess I did zig zag a little but ended up getting in almost 1000 meters. Ok, so I think I mentioned before that I started up the swimming classes again. I really find them helpful and keep me practicing my swimming. I am currently in the middle of week three of classes and have noticed that I am little more clumsy this time. First week did great during the first class, felt like I didn’t even take off the few months from the last set of classes. During the second class I pulled a muscle on the bottom of my left foot while I was pushing off the wall. Wasn’t anything terrible but I wasn’t able to do a few things during the rest of class. Second week we did a lot of back stroke work. During one exercise I was trying to go fast and ran my head into the wall. Didn’t learn from this and shortly after hit my forearm on the edge of the pool. So I might have been trying to go to quickly and not slowing down when I should have. 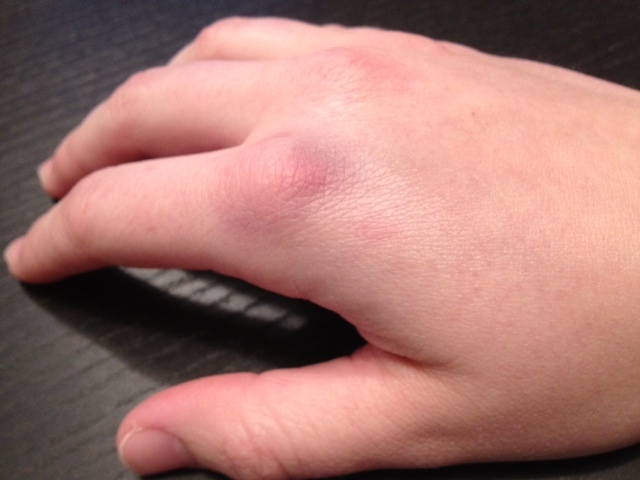 This week I actually have bruising and pain that didn’t go away a hour or so after class. Last night we were working on IMs (all four strokes) and I was determined to try to do the Fly for the entire length of the pool. (Before I would have the rhythm down but lose it about half way) I started really good and seemed to be keeping the rhythm this time. When i had about a third of the lap done the women in front of me were coming back down the left side doing the back stroke. I didn’t want to hit them so I was “hugging” the rope more and smacked my hand into the plastic about three or four times. Needless to say it didn’t feel very good. I did better the next few times doing the fly but ended up hitting the rope a few more times. 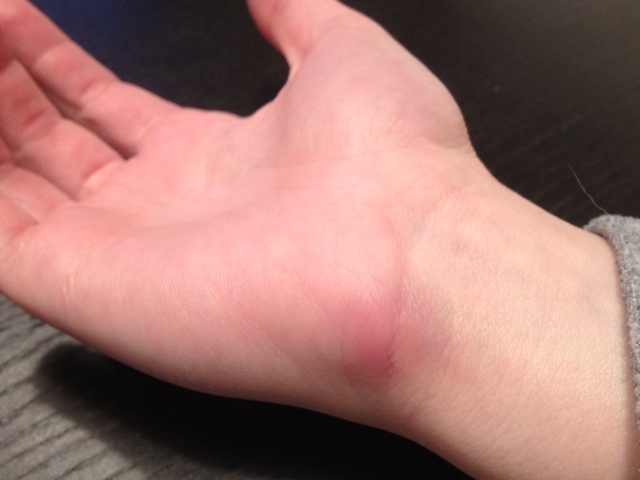 Then later I also noticed bruising on my wrist. Don’t remember when I did that but it showed up around the same time. So lesson learned…try to avoid rope/plastic lane dividers as much as possible. I had hit them before but never had it hurt more than a few minutes. Hoping I won’t be so accident prone for my remaining seven classes! Off to ice and take more ibuprofen!. So when it comes to some things I can be pretty crazy (or stubborn, however you want to put it). I have found that running and my training is one of these things and I think I proved this point fairly well today. I got in my ten miles today however it was fairly cold…it was around 12° I believe with a wind chill of -6°. Yes, that is a negative wind chill. Needless to say I was pretty cold most of the time. There were a few times that I was running toward the sun and the wind was at my side so I felt fairly warm then but would have to turn down another street and was cold again. I started to see just how cold it was right as I hit seven miles when I noticed my ponytail was not moving like it usually does while I run. I reached back expecting to pull it out of my head band or something else it may have been caught in and realized it felt a little weird. 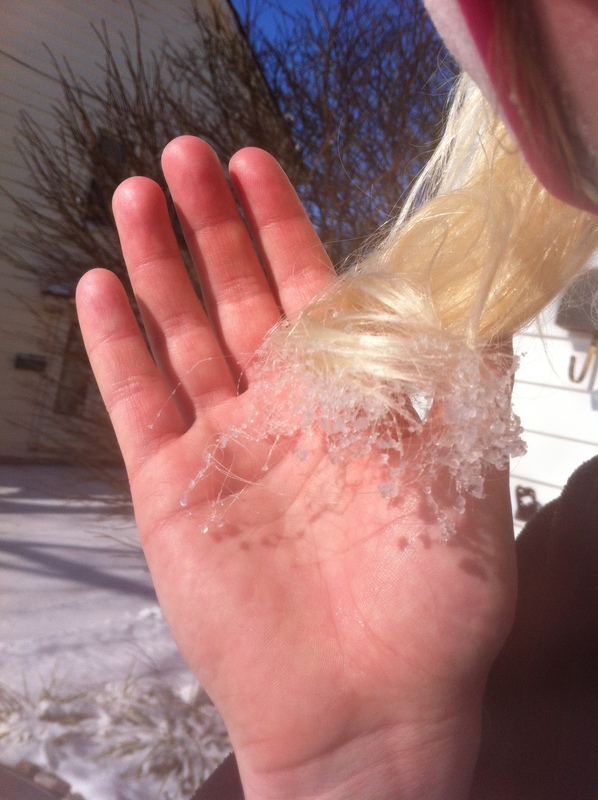 I pulled it around to look at it and noticed that the end of my ponytail was indeed frozen. My ponytail after I finished 10 miles in the cold. Around this time is when I also started to notice I wasn’t able to get as much water out of my water bottles as I usually do. I shook them a little and realized they were also starting to freeze. For about the last two miles I wasn’t able to get any water out of the water bottles. There was still some water in them so I could have opened them up to take a drink but figured if I did that it would end up all over me so I just stuck it out. Luckily I wasn’t too dehydrated at this point. I knew there was a chance the water could freeze during the run but figured it would be moving quite a bit and be close enough to my body that it wouldn’t be an issue. Guess I was wrong on that one. Well, I survived and learned a few things for running in the extreme cold for the future. Now I plan to enjoy the rest of my weekend being lazy and warm. 🙂 Enjoy the rest of your day! Stay warm! Is The Numbness Here To Stay? spring and my over training during the summer causing me to get plantar fasciitis, it didn’t happen. However, I was still able to knock out five 5ks (including a new 5k PR), two half marathons and one 10k mud run. I guess not too bad considering the circumstances. It still is hard for the competitor in me to be ok with this but I have to listen to my body. Speaking about listening to the body, my left side is still not being very pleasant. The past week or so the numbness and pain on the left side has really flared up again. It looks as though they will be keeping me on the higher dosage of Gabapentin and giving me something else that will hopefully help. Usually I have been able to kind of push through this or just kind of blow it off but this time it is kind of dragging me down a little which is a little odd considering my training and competitive season is over. One would think it would be more mentally wearing during the training season rather than after. I can be lazy now. I can sleep in and relax. I don’t have to worry about running 10 miles tomorrow. I think it has just been a long year fighting the left side issues and it is starting to wear me down a little. Trying to stay pumped and positive that hopefully 2012 will be a marathon (and triathlon) year for me but little hard right now. It has been over a year now since my left leg starting being numb after the Columbus Marathon last year so now I am really starting to think that my left side issues might be here to stay. We might not have a medication or treatment that will decrease it and allow me to feel “normal” for more than a few weeks. It kind of wears on me a bit and makes me wonder how my training will go next year. Will I constantly be fighting this? I was planning on my next post being about the Columbus Half Marathon but this is what I was feeling at the time I decided to finally sit down and type so decided just to let the fingers work. Hopefully will have that post sometime this weekend.